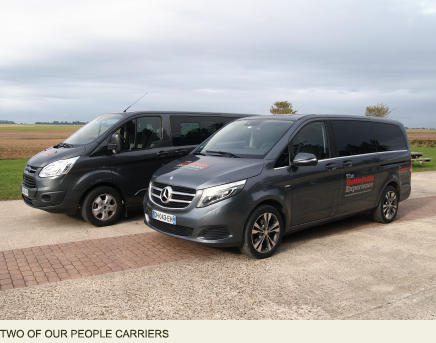 We have three spacious vehicles that enable us to offer you the best comfort available, with rear air conditioning in all our vehicles and quick and easy access with two side sliding doors. 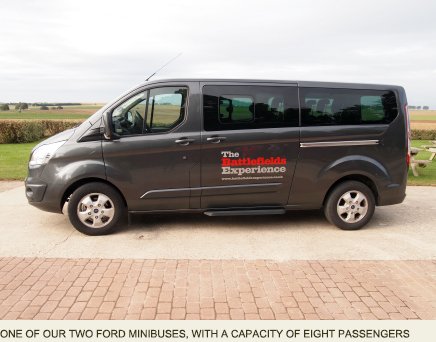 Our two Ford minibuses can each carry 8 passengers. 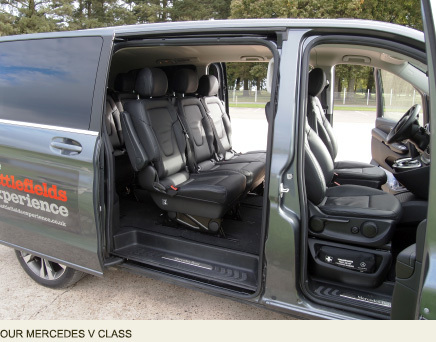 The new Ford has an enormous boot capable of swallowing up the most ample of suitcases, whilst our new V class Mercedes offers our private and bespoke tours the ultimate experience in comfort with seven leather passenger seats and electric everything..you don’t even have to close the door yourself! It will ensure you arrive at your destination in style. This combination allows us to offer the best ratio in quality, flexibility and value for money. All our vehicles are fully insured and licensed to carry fare paying passengers. © Copyright The Battlefields Experience 2015. Photography by Duncan Youel, Keith Lillis and Michael Stedman.